Today... Cloudy, then gradually becoming mostly sunny, with a high near 51. Breezy, with a north wind 15 to 25 mph, with gusts as high as 35 mph. Tonight... Mostly clear, with a low around 36. Breezy, with a north wind 15 to 20 mph, with gusts as high as 30 mph. Saturday... Sunny, with a high near 64. Breezy, with a north wind 15 to 20 mph, with gusts as high as 30 mph. Saturday Night... Mostly clear, with a low around 41. North northwest wind around 5 mph becoming south after midnight. Sunday... 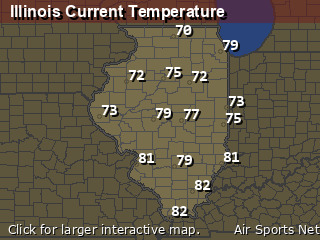 Sunny, with a high near 77. 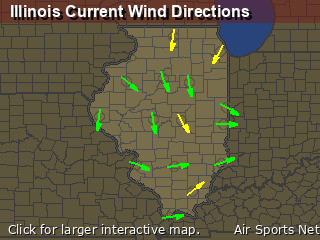 South southwest wind 5 to 10 mph, with gusts as high as 15 mph. Sunday Night... A 20 percent chance of showers after 1am. Mostly cloudy, with a low around 54. 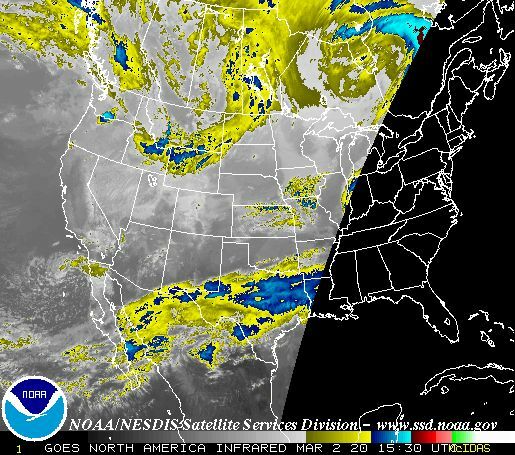 Monday... A 30 percent chance of showers and thunderstorms after 1pm. Mostly cloudy, with a high near 75. Monday Night... A chance of showers and thunderstorms before 1am. Mostly cloudy, with a low around 48. Tuesday... A slight chance of showers after 1pm. Mostly cloudy, with a high near 63.